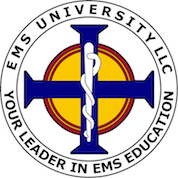 You can get certified in CPR, First Aid and Bloodborne Pathogens using our services. We are a network of instructors across the country who serve you in providing the highest quality training and education for our basic life support programs which include CPR and First Aid. Our convenient registration system makes it easy to book a class. Step 1: Register online or call. Step 2: One of our instructors will call you back to schedule your class. CPR Classes are available throughout San Antonio and the surrounding areas. You can learn CPR through our programs taught by professionals. CPR and First Aid classes will be instructed in San Antonio and the surrounding areas. For more information or to schedule a class session please send us an email at info@sanantoniocpr.org. Questions? email us at info@sanantoniocpr.org, Call us at (800) 728-0209, or meet us in Live Support Chat. Take 410 westbound and exit at Perrin Beitel. Keep straight through the intersection and look for the Starcrest Plaza at 2379 NE Loop 410, Suite 100, San Antonio TX 78217. Once entering the property we are located upstairs in the first complex. Look for the sign in the window. We are right above 3B. To gain access to the second floor, take the stairs located by Apartment 5. We are at the end of the hallway. Take 410 eastbound and exit at Perrin Beitel. Take the turn around and look for the Starcrest Plaza at 2379 NE Loop 410, Suite 100, San Antonio TX 78217. Once entering the property we are located upstairs in the first complex and look for the sign in the window. We are right above 3B. To gain access to the second floor and take the stairs located by Suite 5. We are at the end of the hallway.